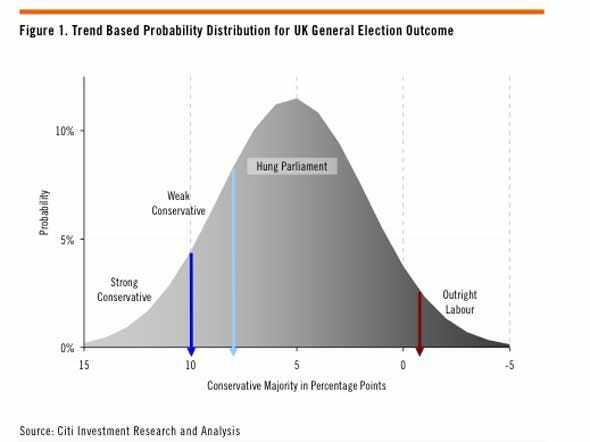 Citi is now calling for a hung parliament in the UK as a result of further poll tightening. Analysts envision the election outcome halting progress towards an austerity budget, and impacting yields on government debt as a result. This is similar to our previous analysis. The latest poll results, according to ICM on The Guardian, point towards a 7 point lead for the Conservatives.